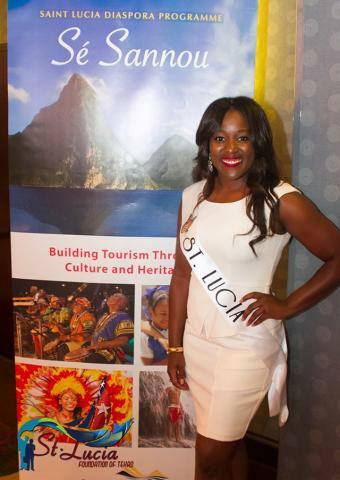 The Saint Lucia Diaspora Tourism programme , Saint Lucia – Sé Sannou is a marketing initiative between the Saint Lucia Tourism Authority and Saint Lucians, that deepens the collaboration through a partnership approach towards showcasing Saint Lucia as the vacation destination of choice in Saint Lucia’s lead source markets – Canada, the US and the UK. Members of our Diaspora community are in a unique position to share their love and knowledge of their home with other members of the community and any potential visitors. Our office recognizes nationals as an untapped resource who can be passionate advocates and help contribute to Saint Lucia’s leading tourism industry. Nationals are encouraged to sign up for the program and become a tourism ambassador. You will receive sales tools and training to help you become knowledgeable about the island. As a member you will also be eligible for discounted rates with our tourism partners. Touchpoints are asked to join the discussion on an invite only Facebook Group intended to connect the Diaspora community and encourage worldwide member dialogue. Prizes will be awarded for leads that turn into bookings through our approved Saint Lucia Specialists. You can win a grand prize of a family vacation for four to Saint Lucia. The next step is to REGISTER!